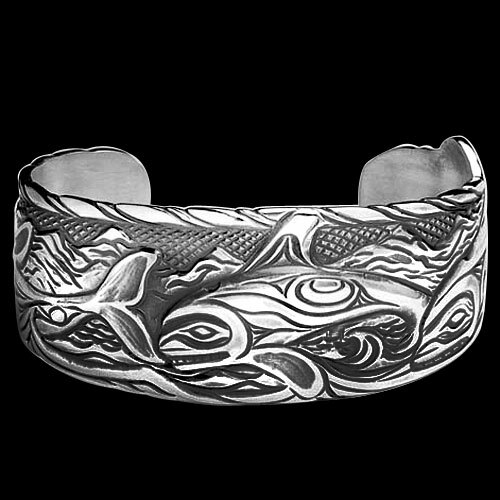 Sterling Silver Solitude Bracelet by Metal Arts Group. In solitude we are able to reflect on our past to provide important perspective for our future. With this gained knowledge we can move forward with a sense of renewal and take on any new challenges that may come our way. 6 x 1.1 inch Sterling Silver Solitude Bracelet by Bill Helin. Made in USA.